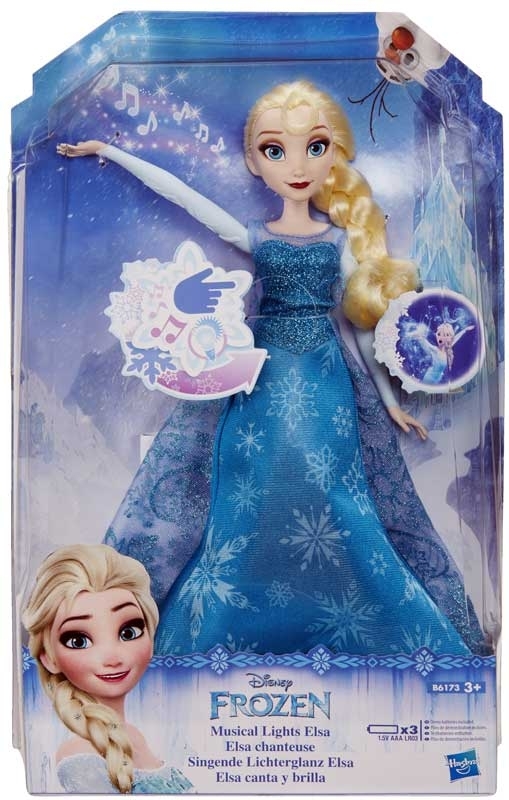 FROZEN MUSICAL LIGHTS ELSA - Singing Fashion Doll Elsa includes a beautiful fashion lights and a song! Elsa's fashion includes tricot with glitter print on both dress and cape. 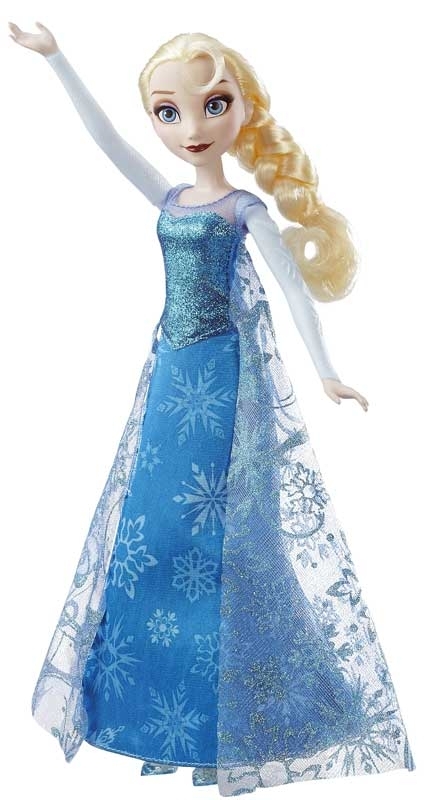 Press the snowflake on Elsa's hand to activate music and watch her dress light up from the bottom up to the bodice. Once the dress is lit up there is a light show as Elsa finishes the song. Press the snowflake again for additional light patterns.